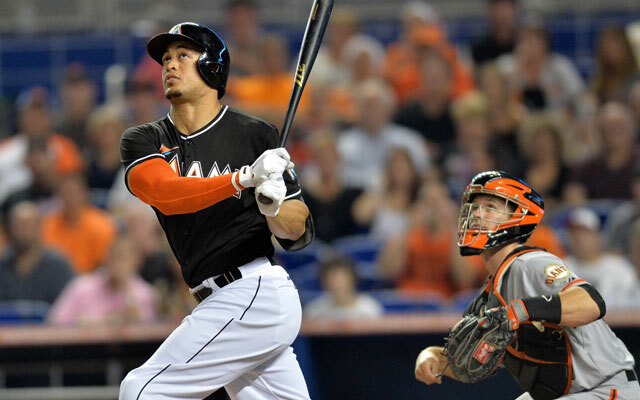 At 13 years, $325 million dollars; Giancarlo Stanton has signed the most lucrative contract in sports history. And I think I’m in the minority of folks who believes that this is a great deal for baseball. I hear a lot of people say being critical – saying that the Marlins overpaid – and to these folks I say that teams like Miami simply can’t win with you. They did exactly what they needed to do in backing up their talk that they would offer Stanton a record deal. Prior to learning the terms, many folks said that Stanton would be offered a joke of a contract that wasn’t up to par and the Marlins rhetoric would be ‘well, we tried’. The Marlins have taken the first step – a large one – in being a credible franchise. They’ve got their cornerstone signed now, and they will continue to make good on their promise to try to build around him. I can’t wait to see how creative they get, because with the pieces already in place there in South Beach (Yelich, Fernandez, Alvarez, Hecheverria) they have a chance to put something fun together in that neat park of theirs and create a good baseball environment. The curmudgeon owner got off his fortune and wrote a hefty check. It’s on the fans of Miami now to come out and support the team if they appreciate the Marlins getting this deal done and keeping the National League’s finest talent in town. As the national media is quick to pounce on the first opportunity to mention that Stanton’s contract is ‘heavily backloaded’, the truth is that the player did the good-guy act of allowing his organization to try to get a few complimentary pieces to put a competitive team around him. The Marlins should be an entertaining watch in 2015 and will likely go for it all in 2016 when Jose Fernandez is fully recovered and they’ve had a year to see what should stick and what should not. One thing is for certain though, the Marlins are no longer the misfits of the baseball world, and this is one fan who really appreciates that they did all they could to keep their homegrown star.